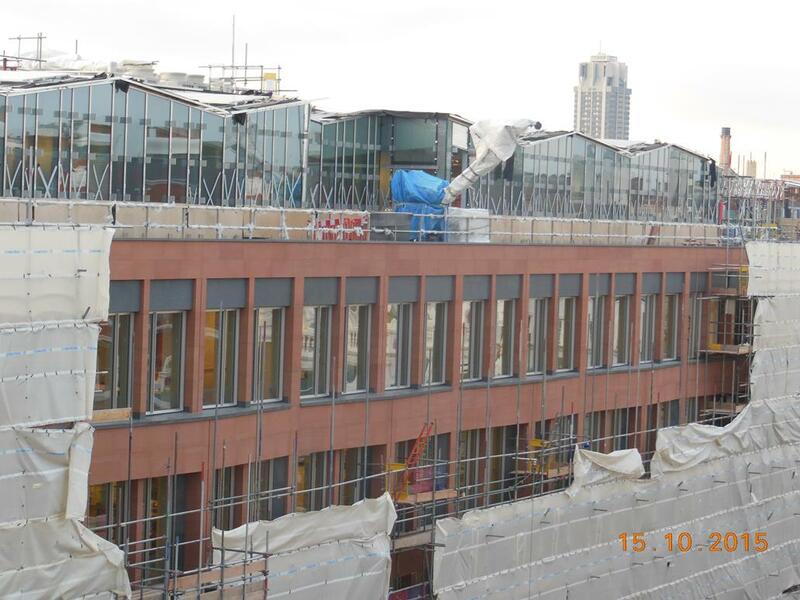 The Cadogan Estate has provided an update on developments at George House. We welcome such updates – the more the better from any developers! Sustainability: Cadogan has set a minimum target of 90% recycling of waste on its redevelopment projects as part of its environmental policy. Mace Limited have reported a recycling rate of 98.65% for the month of September 2015. The redevelopment project is expected on completion to achieve a BREEAM “Excellent” rating. Considerate Constructors Scheme: The construction site is registered with the Considerate Constructors Scheme (CCS). The site has been judged to be in the top 10% of all sites registered with the CCS and won a Silver Award in the 2014 National Awards. No further CCS inspections are due to take place.